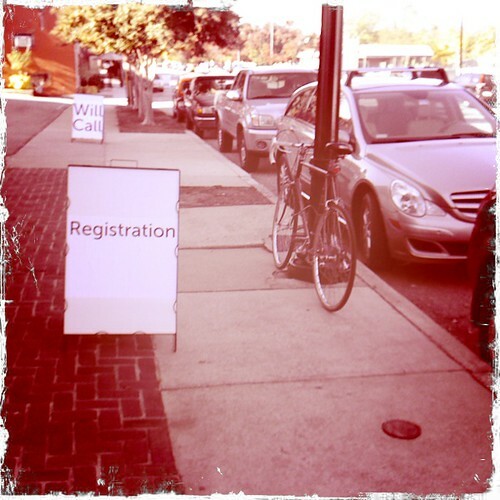 This weekend was the Food Summit. This is the event that I have been working and planning for the last 4 months. It was a rousing success, but took all of my time and energy, as it was 3 14 hour days! One fun part was entertaining out of town guest, Mark Winne. We took him to Chez Fon Fon, one of my favorite restaurants in town. 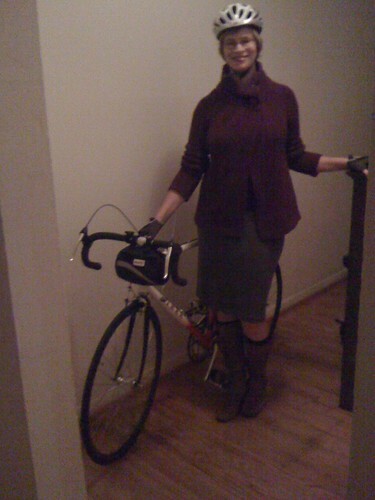 I decided to ride my bike in my fancy dinner clothes. It was fun. I took a picture. Congrats on the event! So great when something you put a lot of energy in works out so well. And it is so nice to see you with your bike again. What handlebar bag do you use up front?